*What Dash Do You Have? Non-tapered pump outlet tube for maximum flow / performance. (1) A pulsator / dampener is not used. 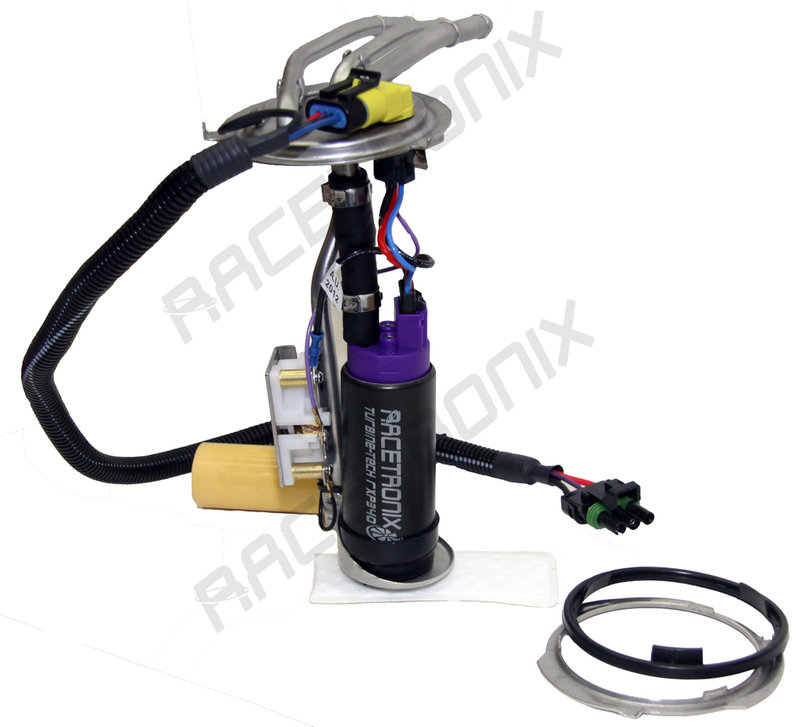 (2) The Racetronix FPWH-006 fuel pump wiring harness must be used with this hanger in order to properly support the power demands of the Racetronix high-performance fuel pump. (3) For use with analogue dash only. Digital dash cars will need to add our 120 ohm level sensor shown under our add-ons to the right of this ad. 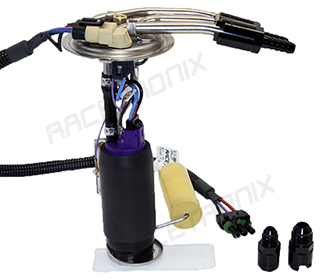 (3) May fit other G-Body cars with or without modification when being adapted to FI applications. NOT SUPPORTED BY RACETRONIX. Shown without foam sleeve on pump. Current production may vary from image. (not recommended on 340LPH model). 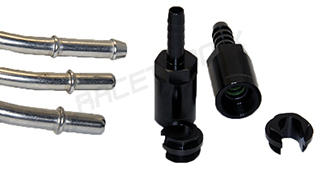 Optional JIC adapters shown off to side (recommended). Shown with hose barb adapters attached (included). 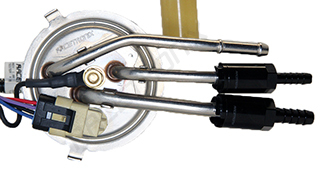 Shown with hose barb adapters dettached (included).